Corvette. The very name brings to mind a slick looking, fast, and pristinely known automobile. Then there is Arizona. The name brings to mind sand, desert, cactus, desolation and several shades of tan. However, when you combine the two for a drive through valleys, forests, desert and back roads, you get an awakening to hidden treasures among the Grand Canyon State that make for a truly special adventure. 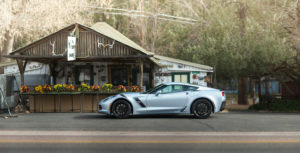 Writer for Via Corsa Carbon McCoy takes you on a ‘heavenly’ drive in a Corvette Grand Sport through some lesser known untapped jewels of this serene desert state. Pick up our latest issue for this entire story featured on the very cover of the magazine! 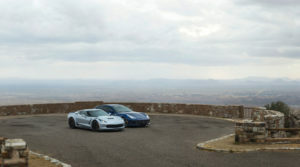 Corvette lovers…this one is for you!